The idea of renunciation doesn't feel particularly modern or attractive. When I think of renunciation, I think of personal sacrifice. When I think of renunciants I think of the ash-covered saddhus who wander around India on their spiritual quest, having given up all their belongings and human friendships. I suppose that the word also makes me think of giving things up for a good reason, but having that renunciation backfire on you - in other words, that you end up wanting the thing you have given up more than you ever wanted it when you were allowed it! There is a more positive way to think of renunciation. Renunciation as the taking away of whatever is standing between you and whoever/whatever it is that you want to be. So, if you want to be healthy, then you might renounce cigarettes or your afternoon cake; if you want to maintain your energy and clarity, you might give up that nightly glass/half bottle of wine; if you want to be peaceful you might commit more deeply to your meditation practice. Only you know what's in your way at any given time. It might be said that most major religions incorporate the idea of renunciation into the spiritual year; that there are specific periods given over to playing with the idea and practice of renouncing things (fasting prior to Yom Kippur, for example, or giving up something for Lent). An important part of yoga practice is deepening our understanding of our attachments to things and loosening the grip of those attachments. Put simply, the philosophy is as follows: we ourselves and all of our possessions are entirely impermanent, we will live our lives and then we will die and be gone and all of our belongings will be lost to us. Yet, for yogis there is something beyond this temporal world, something enduring and lasting with which we seek connection. 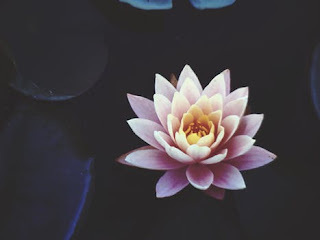 Understanding the impermanence of our bodies and possessions and loosening our grip on our ego (sense of individuality) and sense of ownership facilitates this connection. An investigation into our attachments by playing with renunciation can therefore be an enlightening element of our yoga practice. I once gave up buying anything (except for food) for 30 days, that was a good test! Bargains had to go unpurchased, no new books for a month (that was hard) and then the concern that once the month was over I might go on some crazy spending spree to over-compensate (I didn't)! It was a thought-provoking month and it was a challenge sometimes to stay mindful and committed to it. The great thing about that month, though, was that what began as a restriction ended up feeling like freedom. It was a bit like the feeling that I got when I gave up smoking: at first it is terribly difficult and your body and mind scream out for the thing you want, but cannot have. Once that initial stage is over, however, my overwhelming sense was of being free of cigarettes and I've been free of them ever since. We don't renounce because it's holy, or because it's the right thing to do, or because it's been imposed on us. In truth, when we renounce for those reasons, it backfires and we either end up wanting that thing more (to the point of obsession? ), failing (and then beating ourselves up for it? ), or being miserable about it. We renounce because in doing so we make ourselves free; we renounce because we want to explore our attachment (to coffee, to buying things, to seeing someone) to find out where the attachment comes from, what we can learn from it and the ways in which we might be free of it; we renounce to get lighter (as Ram Dass puts it) and to help ourselves move towards our best version of ourselves. If you reflect over your months or years of yoga practice, you might realise that there are things that you have quite naturally renounced as you have progressed along your way - attachment to proving yourself through asana, for example, or attachment to talking too much (you are quiet more; you listen more). Chances are you didn't think of it as renunciation and that it just became part of your path; sometimes you are just ready for it and it happens, without you needing to make any effort at all. "Vairagya is a practice through which the sadhaka (seeker) learns to be free from desires and passions and to cultivate non-attachment to things which hinder his pursuit of union with the soul"